Seafarers have the right to complain to Matrix Ship Management or Matrix Crew Management. 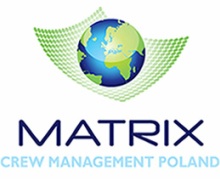 Matrix Crew Management has a responsibility to help seafarers to resolve disputes arising from their employment on board the vessel. The seafarer will be provided with a copy of the procedure for On board Complaints with all the MLC 2006 Contact Details. Any complaints about Matrix Crew Management services shall be submitted to the Branch Manager in writing (by email or post). The company will acknowledge receipt of the complaint providing information about the maximum time for resolving the matter. Every complaint will be treated individually. The matter will be investigated and attempted to be resolved at the lowest level and in the shortest possible time, up to a maximum of 10 working days. When the matter cannot be resolved to the satisfaction of the seafarer then it will be evaluated to the next level – Matrix Ship Management in Cyprus; the DPA or HR Manager. In case of an unsatisfactory response, the seafarer has the right to appeal to the State Administration. Matrix Crew Management has a responsibility to inform the State Administration about any unresolved complaints. The complaints sent by post which are not resolved by the Branch Manager will be forwarded to Matrix Ship Management.